How does a state go about the business of achieving its foreign policy aims? Between means and ends lies the field of strategy, dealing with the "how?". Questions of "why?" "when?" and "where? ", when discussing military strategy and the armed forces, can be said to be political in nature. As for the means themselves, the "what?" that a state uses to attempt to achieve its desired ends, it is (in the case of most Western states) an area where politics and the armed forces are jointly, although not equally, involved in crafting the military instrument. The coherent use of armed force in pursuit of a political goal requires, as a fundamental prerequisite that all these questions are answered in a convincing and logical fashion. Failing to provide convincing answers to the political questions is just as dangerous as failing to answer the military ones. Imagine two scenarios at opposite ends of the spectrum. In the first a state possesses a superbly equipped, led and trained set of armed forces capable of conducting the full spectrum of activities required to achieve any mission asked of them. This state, however, lacks entirely the ability to direct this force or justify it's use. The result is a system as useless as a state entirely bereft of any means of achieving its aims, but with flawless justifications for the use and direction of all forms of state power. The real world is never as straightforward as this, but numerous parallels with each scenario could be drawn. The first might be considered close to descriptive of the United States' involvement in Indochina between 1954 and 1975. A state with enormous means at its disposal failed to achieve its aims because it struggled to justify why Communism needed to be contained in Vietnam. Ultimately in spite of its possession of immensely capable armed forces and a workable, if far from perfect, strategy the war's political justifications collapsed under the weight of their own contradictions. For an example of the second scenario described one must look to the experience of the Netherlands during the Second World War. They were able to correctly identify the threat posed by Hitler's militarist Germany, and the invasion of their territory would prove an immensely strong a justification for the use of force. The Dutch, however, failed in their aim of maintaining their neutrality in the event of another European conflict (as they had done during the 1914-18 war). They could not muster the military force to deter or defeat the German armies and were unable to secure their independence through other means. So where does all this talk of strategy, politics, the armed forces, Americans and Dutchmen leave us? 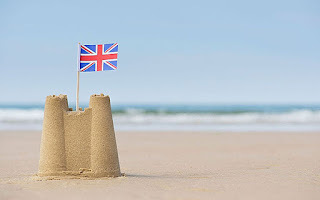 With this as a loose framework I'd like to finally come to the title of this post "Island Beginnings", because my intention is to use this blog to examine the current state of British military strategy. The primary focus will therefore be on the how and the what, although it is impossible to discuss these without occasionally addressing the political context. 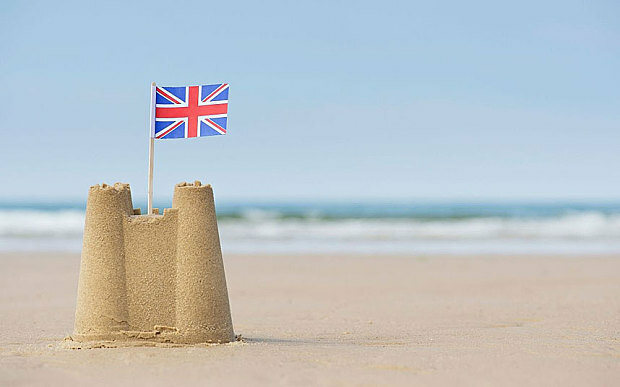 As a preface to everything I go on to write I would like to clearly state that I am a firm proponent of the vital importance of the maritime sphere for Britain specifically and the "Anglosphere" states more generally. That is not to dismiss or diminish the importance of the land as the space that activities at sea, or in the air for that matter, must influence in order to achieve many state aims. I suppose I must also declare my bias as a British commentator, such that it is.